You can find free scales for blues guitar all over the internet, however, what you really want and need is a complete proven method that is sure to make you a really good blues guitar player, am I right? Fact is, learning all the blues guitar scales never made anyone become a good guitarist, so simply learning scales for blues guitar won't get you where you want to go. A complete system of blues guitar scales. If you look at 99% of all resources, products, lessons, programs, books etc. you will find the same 5 blues scales everywhere. One of the problems with learning these blues guitar scales is that this is not the complete system, it is only one part of the real system of scales for blues guitar. To become an excellent blues guitar player you need a complete system, not just one part of it that most resources give you. Not simply a way to learn the complete system of blues guitar scales, but a method to master them. Why does this matter to you? Here's why: if you learn something, but cannot recall it when you need to, or you cannot apply it to real music, or you have to consciously think about it when you try to use it, then you haven't mastered anything. You soon discover that what you learned (but have not mastered) isn't very valuable at all until and unless you master it. To master something doesn't require lots of boring repetition, but it does require a real methodology - THAT is what you absolutely must have. Tools that will quickly help you to apply all the scales for blues guitar that you will learn. Knowing blues scales is good, mastering them is great, but being able to apply them is EVERYTHING. You absolutely must have the tools and a process to actually use and apply these scales to real blues music. An easy way to learn, play and improvise in every blues key. Inexperienced guitar players learn to use their blues guitar scales in 2 or 3 different keys. The problem is, there are 24 blues keys, not 2 or 3 or 12. There is an easy way and a hard way to use your blues scales in all 24 keys, you are going to want to get the easy way. A solid understanding of how blues music really works. It's not enough to learn all the chords and scales for blues guitar and then use the trial and error method to playing blues. Blues is based on improvisation, but great blues music is never based on trial and error. A method to learn which specific scales to use over each chord within a blues song. Great blues guitar players typically do NOT use the same blues guitar scales over each chord in a blues song. To sound more like a great blues guitar player (and less like an amateur) you need to understand how the pros change scales over blues chord progressions. A guide that helps you immediately know which specific notes of a guitar scale sound best over the chord being played in each part of a blues song. Until and unless you know which notes of the scale to focus on, your melodies, solos and improvisations will only sound mediocre at best. As you can now see, there is a lot more you need than a simple set of scales for blues guitar. Backing Tracks to practice, improvise and create your own blues music with the guitar scales you'll be learning. The vast majority of resources and products that offer blues scales typically don't give you the blues backing tracks to use those scales over. Make sure whatever resource you use has backing tracks included!! The process to Put It All Together. The last big piece you need is the path to put all the various elements together so that you are making real music, expressing yourself fully. Answers to the questions you are going to have when trying to learn, master and apply your blues guitar scales. Although its not reasonable to expect an online resource, book or product can answer your questions directly, it is reasonable to expect that all the commonly asked questions are in fact addressed and answered. You are going to have questions and you are going to need to get those answers to be sure you are moving forward quickly while working with your scales for blues guitar. Ways to get started right away. Most resources on blues scales for guitar require lots of boring memorization first before you can really get started and begin having fun. Certainly there is work to be done, but it doesn't have to be boring, doesn't have to be slow and doesn't have to be hard. The very best resource should be exactly the opposite of those things. After many years of searching for a proven, easy-to-use and complete system for learning, mastering and applying blues guitar scales that I could use to teach my own students, it became obvious that none existed - so I created the ultimate system that I (and other top level guitar teachers) have been searching for. It's called: The Complete System Of Learning, Mastering And Applying Scales For Blues Guitar. This new eCourse contains all 11 (plus more) things you absolutely must have in order to become the excellent blues lead guitar player you want to, can and should be. The COMPLETE system of blues guitar scales so that you have the same tools the pros do and are not restricted by using only the same 5 blues scales that all the amateurs use. To become an excellent blues guitar player, you need the complete system, not just one part of it. The best method to master the complete system of scales for blues guitar - learning something is not enough, you need to master them. I will show you exactly how to do that so that you become totally fluent with these scales. Tools to help you apply everything I will be teaching you so that you can actually use what you will learn in order to create excellent blues guitar solos. A guide to learn, play and improvise in all 24 blues keys. Contrary to what most guitar players think, there more than 12 keys in blues music. There are in fact 24 standard keys. Not only will you learn them all but you'll learn how to fluidly use them all easily. Explanation of how blues music works (blues music theory) so that you understand why the chords and scales work as they do. Having this knowledge will make you a better player because you'll be a smarter one. The Scale Choice Mastery Method which will show you which specific scales to use over each chord within a blues song. This will make you a smarter and more diverse blues guitarist compared to those who simply learn the basic 5 blues scales and then only use them over every blues song… BORING! The Best Note Choice Guide that helps you to immediately know which specific notes of a blues guitar scale sound best over the chord being played in each part of a song. Until and unless you know which notes of the scale to focus on, your melodies, solos and improvisations will only sound mediocre at best. Blues backing tracks to practice, improvise and create your own blues solos with the guitar scales you'll be learning. Not only are there general 12-bar blues backing tracks for you to play over, but there are some very specific ones that allow you to focus just on a single element, like a turnaround or just one aspect of the chord progression so that you can really focus on those elements in isolation too! The process to Put It All Together so that you can put all the various elements together in order to make real music, express yourself and have fun. Answers to all the common questions you are probably going to have in simple, easy-to-understand language that makes sense so that you don't get stuck when you are trying to learn, master and apply everything in your new eCourse. Easy ways to get started right away. One thing that will slow you down is an inability to get started right away. I want to make sure you can get started immediately to put all these methods, tools and processes in action right away. And besides, that makes the whole learning process so much more fun for you. Plus you'll get additional training on blues turnarounds, tritone substitutions, the flatted 5th chord and modified pentatonic scales for guitar. You'll learn what these all are, how they work, special ways to solo over or with them to make your blues playing even better! After learning, mastering and applying the blues scales you'll be learning, your next step will be to build cool blues guitar licks from those scales. 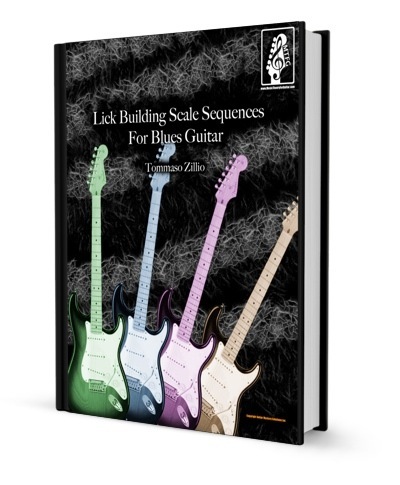 This necessary eBook on lick building and scale sequences will put you on the fast track to playing and creating your own cool blues guitar solos. You get every sequence in tablature, music notation, and audio samples so that you can hear each one as it should sound. In addition, I'll explain each of these sequences to you and how to approach practicing them so that you can get started right away. This $37 eBook is FREE as a special bonus gift to you. I have tried one to one lessons or a Video or an audio lesson, but they started in a different way from your course. Also, when I follow your lesson I soon get a question arising in my mind.... something doesn’t sound right when playing with your backing track - I turn the page and there is the explanation. This a) gives me confidence that I WAS right and, b) you broke the topic into two halves, so first step was easier to grasp. So now I understand, not just listen, and it sticks in the memory. IT IS different as it is a totally new path - I am exploring the foundations that had been boring before. Now a simple exercise can have a nuance by the way I strike the string for just 1 note, or alter the volume, or slide up to the note I want - I am being entertained by these really simple level lessons - which I need. I’m not in a rush now to learn a tab to a favourite solo way above my competence. I feel that I see the neck as if it’s in 3D. I can add colour or change colour to one note. I have so much more to understand but if I can start to get one note to sound how I want it to....... and…. then can “hear” in advance what a sound will be BEFORE I hit the note - then I am progressing- imagine what that would give - maybe that’s what so many prodigies have by instinct or maybe also due to starting young. Sound is my work (voice, not music). I have been very lucky being in studios actually seeing some of the famous players we relish, not just guitar but violin, piano and other instruments. I seem to be able to tell who is playing by hearing just one note. Now, if I can start even start to emulate their sound, I shall start to move towards my aims that have been out of reach. I've just recently purchased your book The complete System Of Learning Mastering and Applying Scales for Blues Guitar and I cant stop reading it! Ive been practicing all day! you have opened so many doors for me that I was puzzled about and down right oblivious to. I just want to say how grateful I am and thankful that there is such a great guitar teacher out there who can put theory into such a simple language and make it so applicable. Your book is amazing and very clever, cheers! I am writing this e-mail to you, as I have recently finished reading your ebook, The Complete System Of Learning, Mastering and Applying Scales For Blues Guitar, and I have to it's absolutely the BEST! 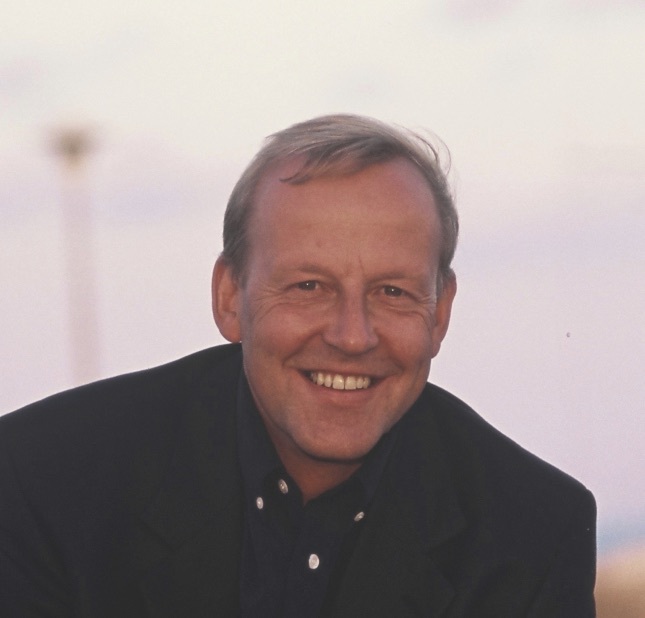 You have accomplished in 70 pages, what other authors would take volumes to write and still not get it right! Your style is easy to understand and right to the point. There is absolutely no "filler" in this book! It's just packed with valuable information concerning blues scale applications. This book has something for everyone, beginner to advanced. I consider myself an intermediate player whose lead work leaves a lot to be desired! After reading your book, I have no doubt I will improve immensely as I work through the examples. I wish I had this book 10 years ago!! Magnificiant!!! A job well done! Worth Every Penny!! "This program will help you take the scale patterns that you already may know, add to them, and most importantly learn to apply them and make the music that you want to be able to play. This program very simply lays things down in a way that it's easy to understand and easy to apply bit by bit, so that you can integrate it into your playing. You are gonna have increased creativity and expression, you're not going to be stack in ruts You're going to be able to think music. This program goes very very deep into the application of scales into the Blues guitar context and it's presented in a way that you can apply these things almost immediately. I highly recommend this program, you should get it today." I got the tracks downloaded. They are great, really make your package worth the money. I bought "band in a box" software, with all the instruments on a hard drive so I could make myself some nice backing tracks. But I could never get them to sound this good, and spent way too much time doing it. All the instruction material and the backing tracks to practice with is a great deal at this price. I love the way you explain the music theory, and then you show a simple way to apply it. That is fantastic. The "Complete System of Mastering and Applying Scales for Blues Guitar" helped me a lot. It was a great aid because I can now apply all these ideas in my usual context (Rock/Metal). And it can be a big help also for my students! You will get better at visualizing the scales much faster. This is critical when you want to go to the next level when improvising and you want to be very sensitive, ver immediate, very fresh. When you want to improvise you want ot eliminate all these "layers" you have in your head that stop you from being natural and fresh, and this system helped me a lot in this sense. You gave me a lot of new insights into how to use the pentatonic scale and adapt it to suit the chords. I still have a lot of work to do on the exercises and the improvisational side, where I am very weak. But you laid out very strong concepts that should really help to develop this area. The major blues....finally I know how it works :-) Very helpful stuff to be honest. 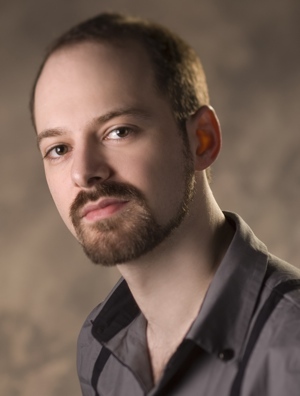 Tommaso's course shows you how to immediately apply every single concept. As soon as you learn a new concept, you immediately know how to apply it in the context of the Blues. Contrary to popular belief, music theory does not take away any feeling from your Blues guitar playing, in fact it does just the opposite: it shows you exactly why certain note choices can sound great over some chord progressions in the context of Blues. Having this understanding is totally critical to master Blues guitar soloing in all its aspects. So if you have been struggling for a while with knowing how Blues soloing really works or how to use different scales in the context of Blues, or if you simply want to know how to take your Blues soloing to the next level, then Tommaso's "Complete System Of Learning, Mastering And Applying Scales For Blues Guitar" is the answer for you. Even if you could find a local guitar teacher good enough to teach you all of these things, think about what it would cost. It would take at least 20 lessons to cover all of this content, write it all out, explain it to you, illustrate everything in diagrams, answer your questions, show you how to apply it all, etc. etc. etc. The cost (considering the average guitar lesson rate is $40 an hour x 20 lessons) is about $800. And that doesn't even consider the cost to create all the backing tracks for you to solo over. Would you rather pay a local teacher $800 to get all of this over the next 20 lessons (5 MONTHS), or would you rather invest a mere $77 and get everything RIGHT NOW! If you scroll down, you'll see the order box that will allow you to get instant access to your eCourse. Now I want you to click on the orange "Add To Cart" button below, fill out the simple form on the next page and then click on Buy Now button on the following page… then you can instantly download The Complete System Of Learning, Mastering And Applying Scales For Blues Guitar eCourse. 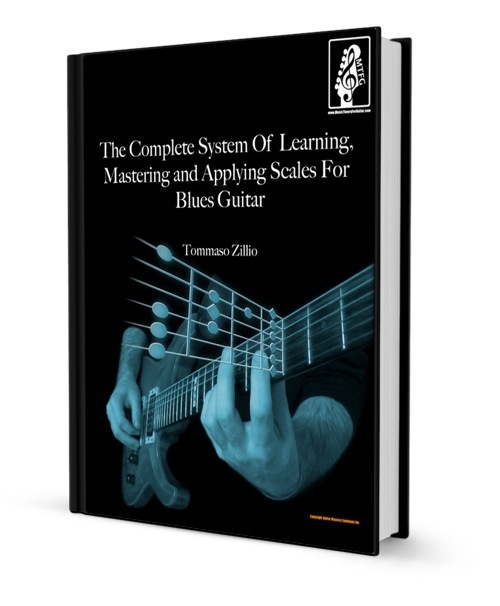 "The Complete System Of Learning, Mastering And Applying Scales For Blues Guitar"
There's no reason to procrastinate or deliberate any longer. The time for action is now, because you won't become a better guitar player if you just sit there. I'll see you on the other side. PS: ORDER NOW and get instant access. You are here, so just do it. You'll be glad you made the smart choice. © 2011-2019 Guitar Mastery Solutions, Inc.